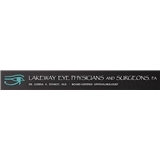 Lakeway Eye Physicians & Surgeons, PA (Lakeway) - Book Appointment Online! I thought she and her staff were professional & personable. Felt very warm in her care, she’s a great listener and makes everything at ease. She’s great.